Did you know that you can actually swim with Puerto Vallarta dolphins? 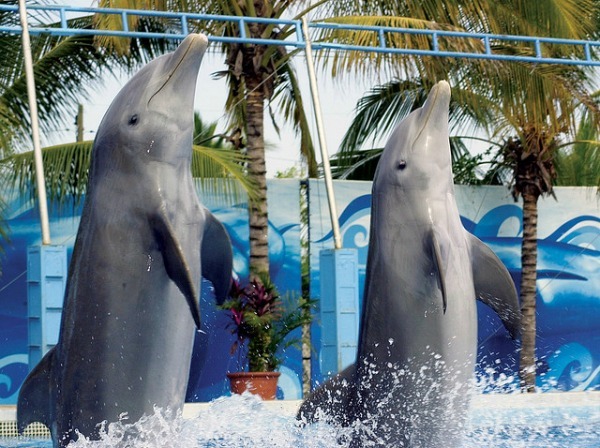 They are located in Nuevo Vallarta Marina at Aquaventuras Park, formerly known as Sea Life Park. These gorgeous marine mammals will give you the experience of a lifetime. "Swimming With The Dolphins" is designed for people of all ages to enjoy. They have many packages to suit your needs. Your admission price also includes the popular dolphin and sea lion shows plus entry to the entire Aquaventuras Park, so plan to spend the day here. There are also several fun rides and activities here including a lazy river, swimming pools and 10 water slides. Don't forget to take in the Whacky Bird Show as well. I hear it is hilarious. The staff here at Aquaventuras is second to none and takes social responsibility very seriously and works closely with other marine rescue groups by volunteering their resources and facilities to help rescued or injured marine mammals. The Dolphin Encounter is for people ages 1 and up. Of course, young children must be accompanied by an adult in the water. This is a 45 minute session which offers an orientation followed by hands on interaction with the dolphins. This is their lowest priced package - Adults: US$79 and Kids: US$79. The Dolphin Swim Adventure is 45 minutes with a dolphin. You must be at least 8 years of age to do this program. It includes chatting, playing, cuddling and learning all about these gentle creatures. The dolphins will also take you for a ride as they pull you through the water on a boogie board. This is their mid range package - Adults: US$109 and Kids (ages 8-11): US$79. The Dolphin Royal Swim is the signature swim. The minimum age for this atttraction is 8 years of age. During this 45 minute show, dolphins will among other things, give you kisses, a handshake and a ride through the water while hanging on to their dorsal fin. This is their most expensive package - Adults: US$139 and Kids (ages 8-11): US$79. 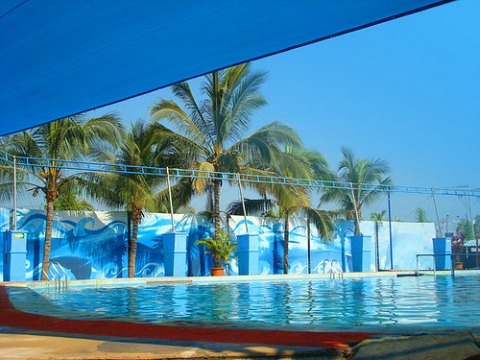 For more information about swimming with the Puerto Vallarta dolphins and to make reservations, please visit Aquaventuras Park. So as you can see, there are packages for all ages and comfort levels. Swimming with the dolphins is a very popular attraction in Puerto Vallarta so BOOK THIS TOUR early to avoid it being sold out during your stay. As always, have a fun safe time!